During Sunday's Television Critics Association event, CW president Mark Pedowitz spoke about many things regarding the network's shows and one of those notable announcements was the renewal of the animated 'Vixen' web series. He also left open the possibility of a female-led superhero series although there are no plans currently. If the CW was smart, 'Vixen' should be the one making that transition to on-going live-action series adding the first show of its kind to its line-up as well as having a woman of color as its lead. Vixen is voiced by Megalyn Echikunwoke on the CW Seed series and she'll also be making an appearance in person on an episode of 'Arrow' this season. It could be the introduction of the character it needs to possibly lead to something more. “‘Vixen,’ which is the animated piece, is a superhero of diversity and color. Hopefully that character can spin itself out — if not, join the ‘Legends,'” Pedowitz proposed. It's an interesting development that a live Vixen show is even a possibility considering the way the animated series was rolled out. The story of Mari McCabe who inherits her family's Tantu Totem, gaining the powers of animals, using them to fight for justice as the costumed hero Vixen. The animated series was created and produced by the makers of 'Arrow' and 'The Flash' and even features the same characters using the same actors providing their voices. The first "season" really is a single 31-minute episode chopped up into 3-5 minute separate mini-episodes. It comes across as more as a beta test than a legitimate series. However, the quality of the animation, the voice work and story is exceptional and deserves a longer format. A solo series would be nice synergy since Vixen has already been introduced as part of the Arrow/Flash universe through the animated series. 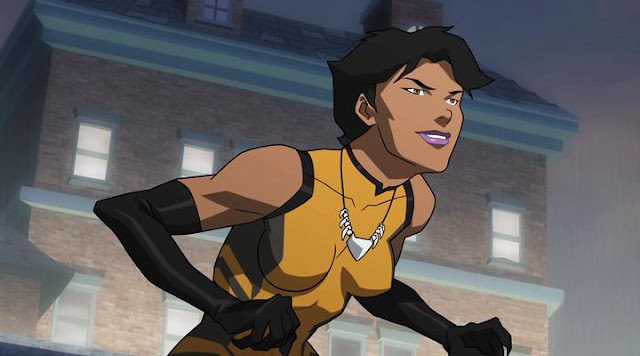 Before this iteration of Vixen, the character appeared often in the Justice League Unlimited animated series so she's no stranger to DC Comics fans. Hopefully, Berlanti and company will opt to make a ground-breaking Vixen live-action series or add her to 'Legends of Tomorrow' although that would feel like a consolation prize. 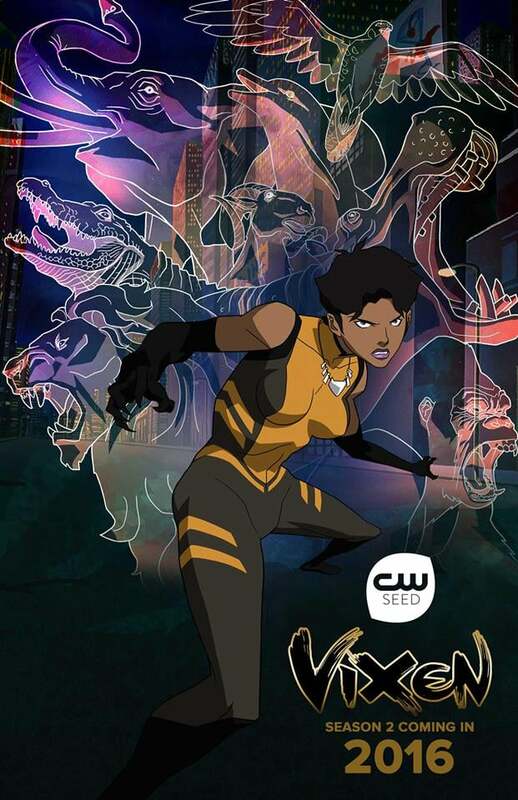 UPDATED: New poster for 'Vixen' Season Two released.